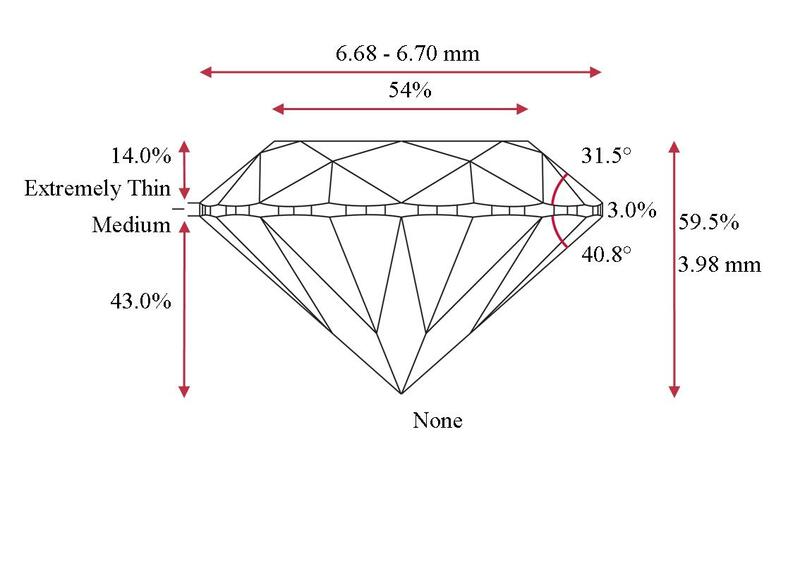 This diamond grading report provides the opinion of RapLab® gemologists based on Gemological Institute of America (GIA) grading standards. REPORT VERIFICATION: This report can be verified by visiting www.RapLab.com and providing the report number. Additional gemological information including an image of the diamond and RapLab diamond grading report are available online at this site. CAUTION: DIAMOND GRADING IS BASED ON SUBJECTIVE HUMAN EVALUATION, INCLUDING THE EYE SIGHT AND OPINION OF THE GRADER, THE LEVEL OF SYNTHETIC AND TREATMENT TECHNOLOGY AVAILABLE, AND OTHER FACTORS. 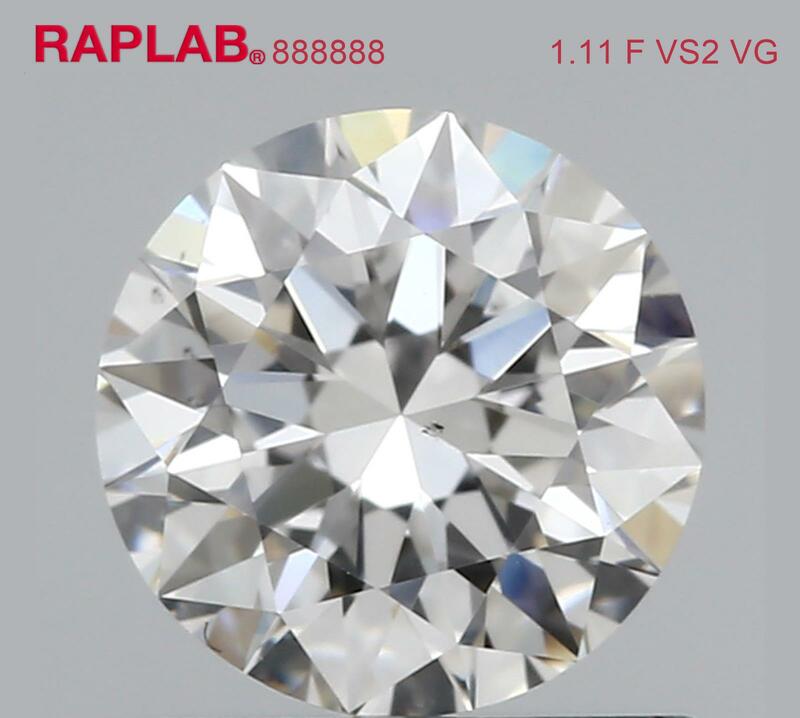 WHILE HONEST EFFORTS ARE MADE BY RAPLAB TO PROVIDE ACCURATE GRADING THE SAME DIAMOND MAY RECEIVE DIFFERENT GRADING RESULTS UPON SUBSEQUENT EXAMINATION BY RAPLAB OR OTHER GRADING LABORATORIES. THIS GRADING REPORT IS NOT A GUARANTEE, WARRANTY, OBLIGATION, INVESTMENT RECOMMENDATION, OR APPRAISAL. LIABILITY IS LIMITED TO THE AMOUNT PAID FOR GRADING SERVICES. Please visit www.raplab.com/termsofservice for additional disclaimers and important limitations.